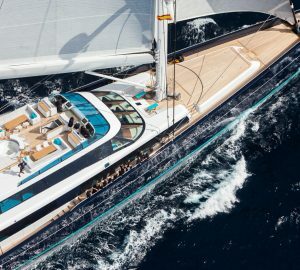 Built in 2016, 47m/154ft sailing yacht TIARE is entirely constructed from wood and her elegant exterior features a white-painted hull and crimson sails. 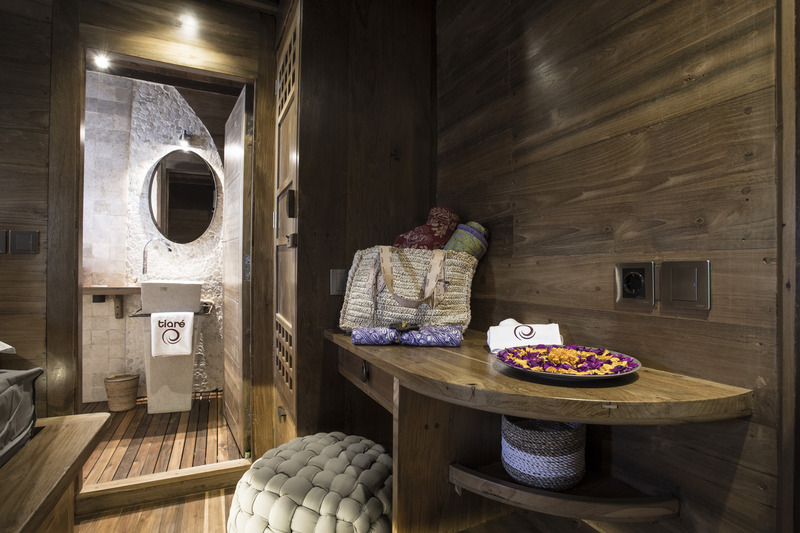 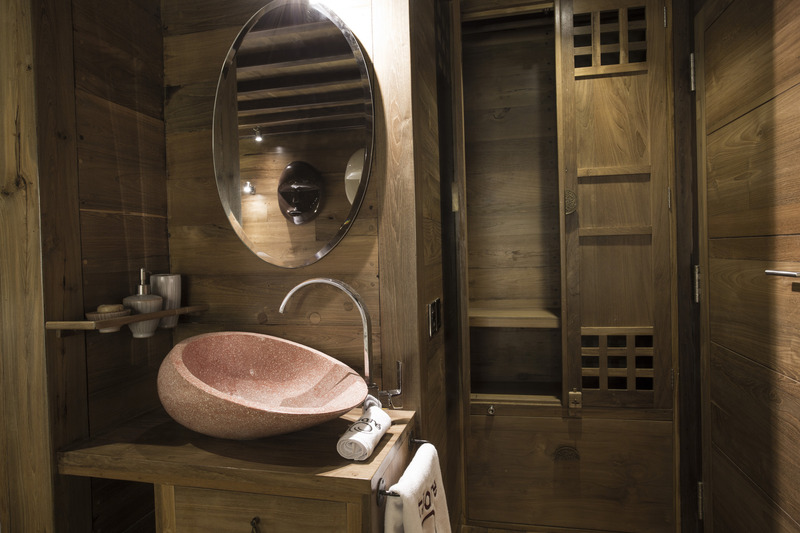 Contemporary styling with traditional techniques form the ambient interiors, where up to 14 guests are accommodated over 6 cabins. 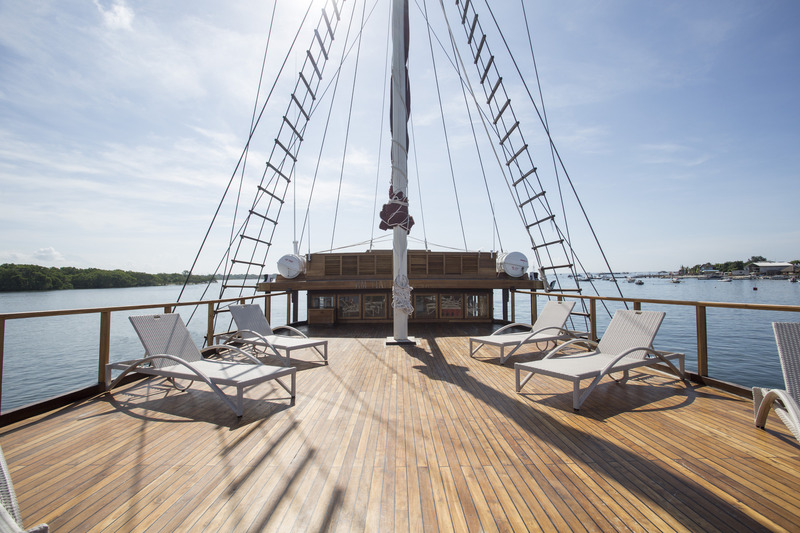 This yacht is a perfect option for a unique adventure yacht charter vacation with a relaxed atmosphere on board offering top amenities and quality service. 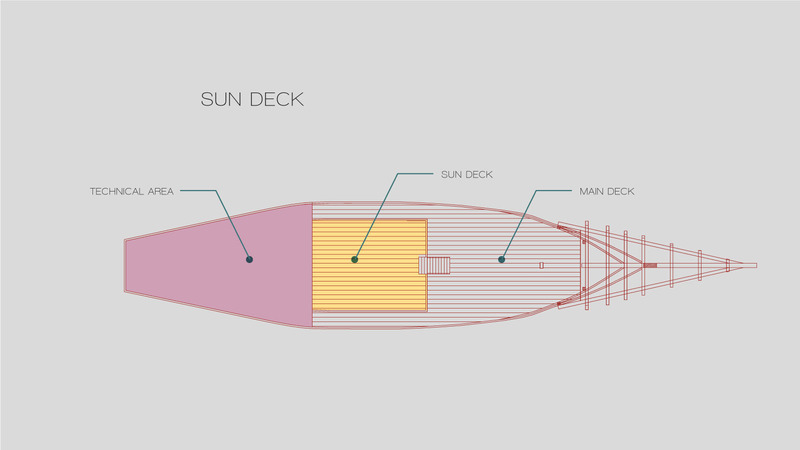 The spacious foredeck can be filled with sun loungers and seating or left clear for exercise. 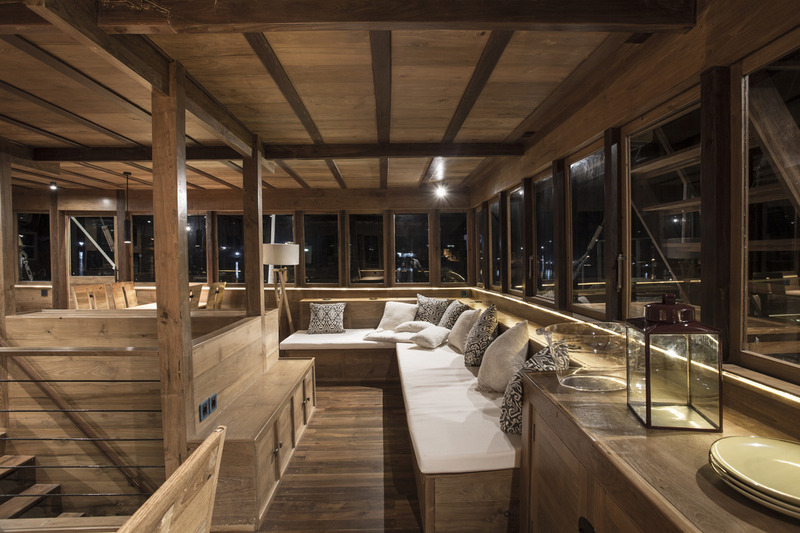 Above, the aft seating on the sundeck forms a secluded area where guests can unwind in the sunshine and enjoy the views. 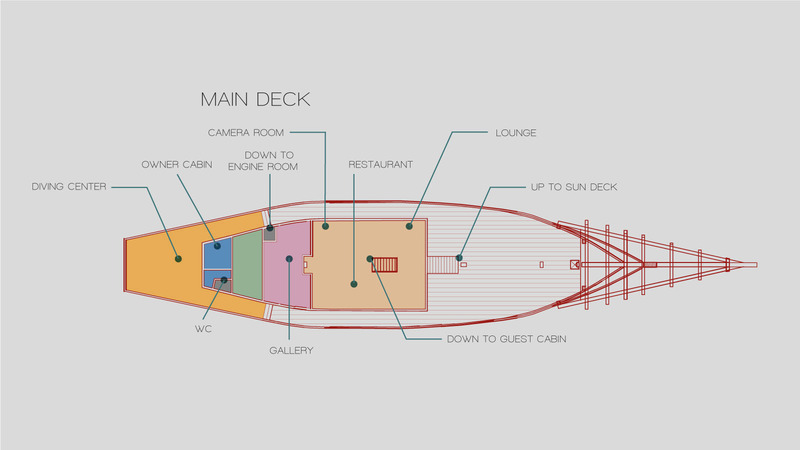 The centre of the main deck has a large lounge and dining area where guests can sit in air-conditioned surroundings or open up the windows for a greater connection to the surroundings. 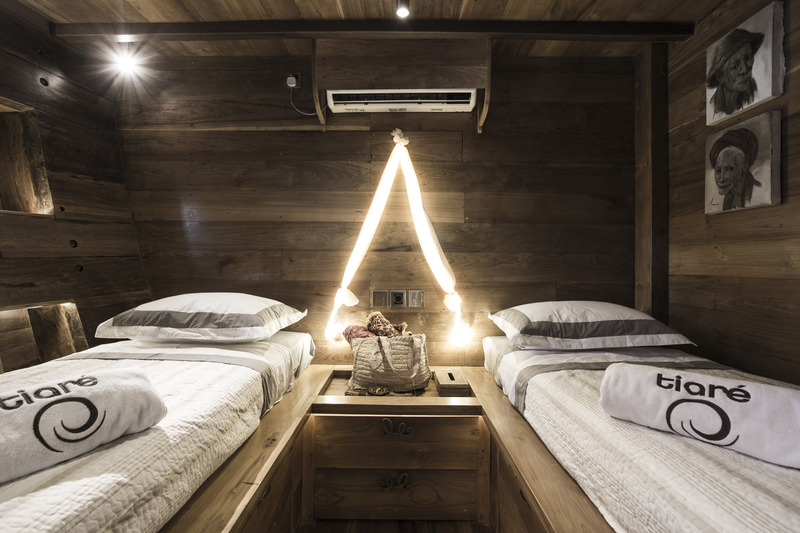 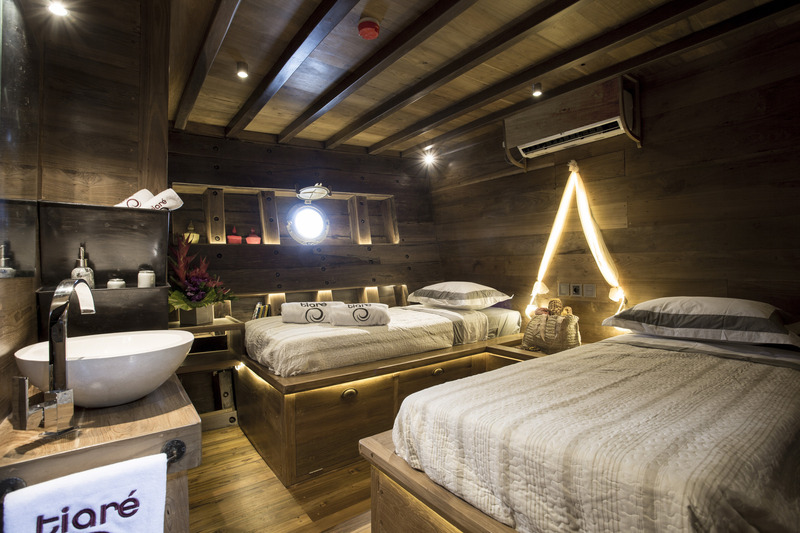 The Owner's cabin and diving centre are located to the aft, while the rest of the comfortable and air-conditioned guest accommodation is located on the lower deck. 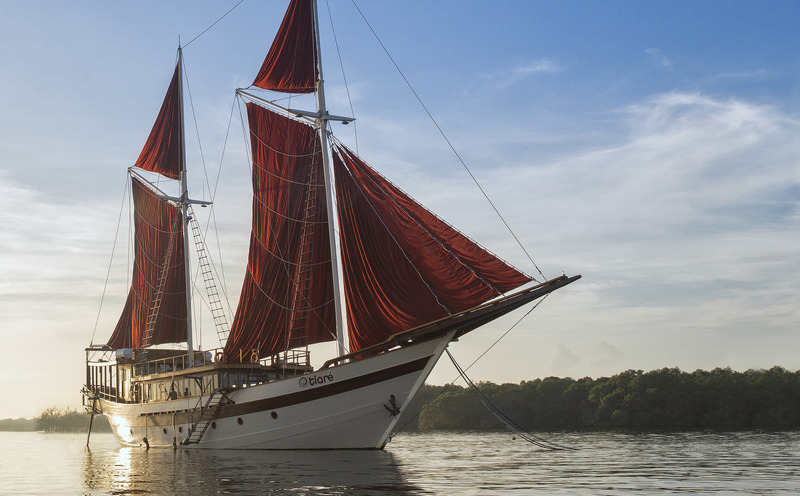 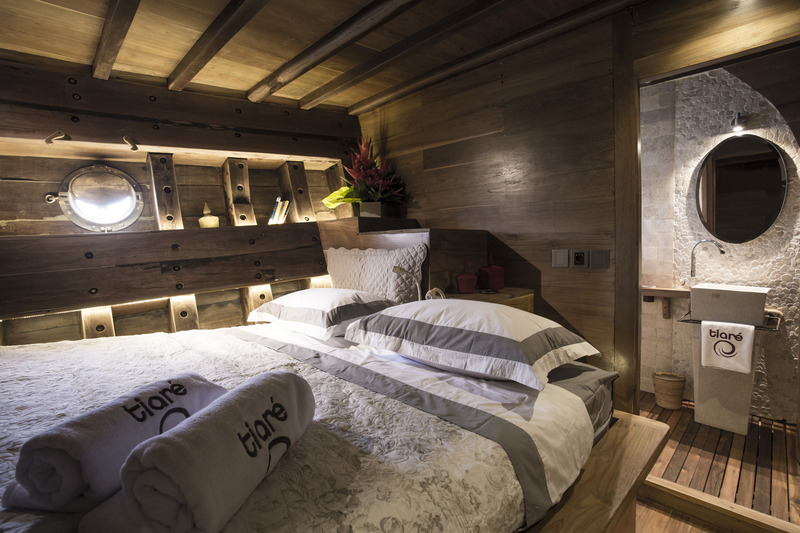 The accommodation provides for 14 charter guests over 6 cabins: 4 double cabins and 2 twin cabins. 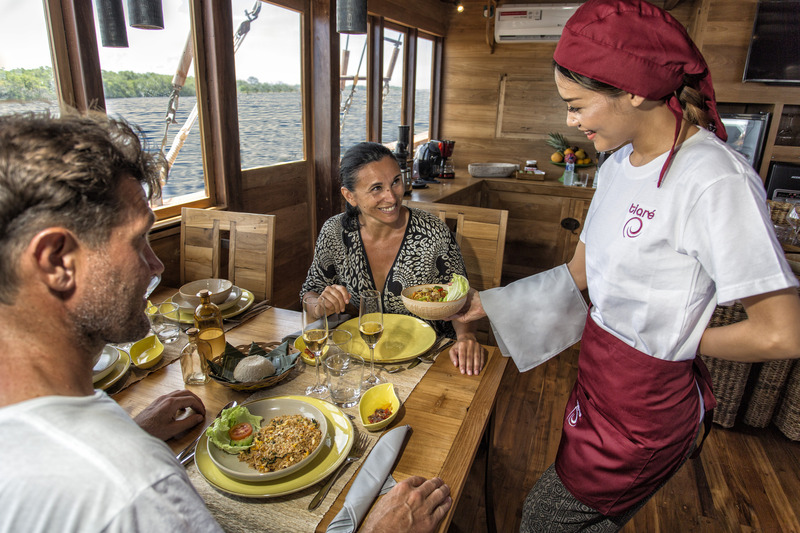 Her crew of 14 ensures that everyone on board receives personal service throughout their stay.